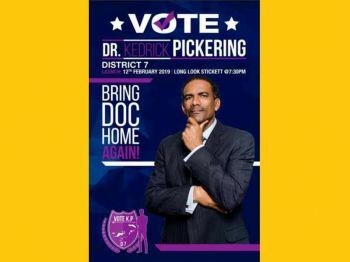 LONG LOOK, Tortola, VI - After facing outcast from the Hon Myron V. Walwyn (AL) led National Democratic Party, (NDP 1)—a group he co-founded—Dr the Honourable Kedrick D. Pickering, representative of the seventh district, is now on his own. Dr Pickering, the Minister for Natural Resources and Labour will run as an Independent Candidate according to sources in his seventh district committee. There have long been speculations that he would have ran with the NDP 2 breakaway group called the Progressive Virgin Islands Movement (PVIM-NDP 2), or the Hon Julian Fraser led Progressives United (PU), however, none of this has materialised so far. Hon Pickering, a Medical Doctor—whose father is Cuban and mother is an indigenous Virgin Islander—first ran for office in 1999. Come the February 25, 2019 General Election, he would have been in office for 20 years [1999-2019]. 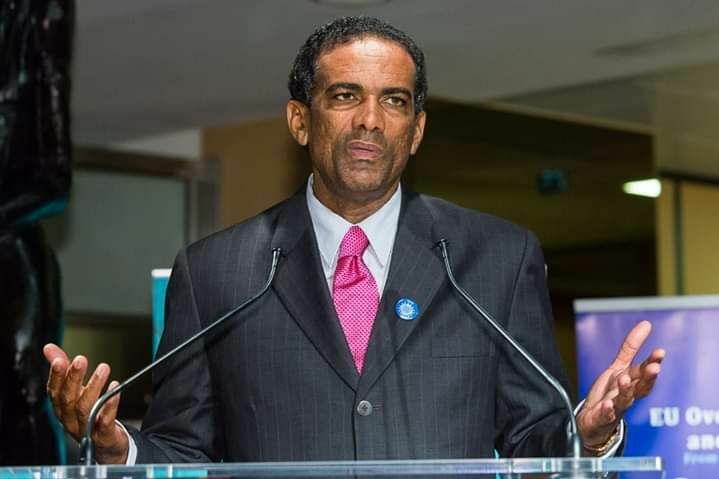 He first ran to represent the people of District 7 with the NDP 1 in 1999, the party he helped organize before the current Chairman, Hon Walwyn help to force him out of the party. The two men have in recent years had a contentious relationship and Mr Walwyn put up a candidate against Dr Pickering, Mr Hipolito D. Penn. In 1999, in a three-candidate race when he first ran for office, Dr Pickering earned 68.8% with 356 votes while Collingson George of the United Party (UP) earned 18.6% with 109 votes and the Virgin Islands Party (VIP) Birton H. Lettsome received 18.3% with 107 votes. In the 2015 General Election while still with the NDP, Dr Pickering obtained 607 votes which was 75.3% of votes cast, while the VIP’s Oleanvine Pickering-Maynard got 199, which was 24.7% of the total votes. Many of Dr Pickering’s critics for the past 8 years have said that he has killed agriculture and fisheries, not been firm on labour issues and work permit applications—where locals and belongers have been denied jobs—and that he travels too much. Further, critics said he has more of an interest in protecting sharks than fighting for locals or getting jobs for youths in his district. His supporters have said he continues to help the elderly, give free medical services, is a global and respected advocate for environmental protection and that he recognises the seriousness of global warming and is Premier material. In the 2019 General Elections, he will face NDP 1’s, Mr Penn and VIP's Dr Natalio D. Wheatley. Many were puzzled by the decision of outgoing Premier, Dr. the Hon D. Orlando Smith (AL) to choose Hon. Walwyn over Dr Pickering for the leadership of the NDP. Both Dr Pickering and Smith have had a long professional, political and business friendly relationship spanning over 30 years. like the there he was there when the NDP killed the BVI!! Oh so there he is! Im going to just come to the conclusion that he thinks that he will win so he decided not to put that much effort into campaigning. Yes, you are so right. He did not campaign because this man is full of himself. He knows that he has the not so smart people who will vote for him. Long Look area is the slum of the Virgin Islands. It is one of the worst and filthiest looking places. He should be ashamed to say he was there rep. for such a long time. They will vote him in again and he will do absolutely nothing again. Guess he has figured out that he is smarter than all of them put together. I have more respect for Doc that many others. He was committed to the Administration that the people voted in until the desolution of the house—as he should have been. In other words, he made a commitment and saw it through; a sure mark of a man of great character. Although he could have jumped off course like the rest of them, he stayed through the hard times! That is the kind of person we need elected! Those that stay through good and rocky times! 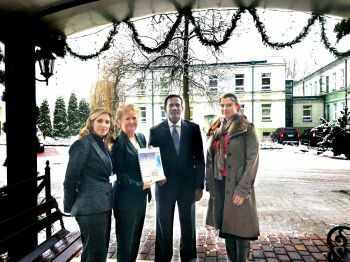 Nomination Day is February 11, Election Day is February 25 and launching on February 12. 13 day b-4 election. Reallly! Is there some assumption, loads of confidence......etc going on? I am not surprised but this is an interesting turn of events, if indeed true. So why Vino can't say VIP 1 Natalio Wheatley. doc I like u but I think its time. u had a good run. We like Fahie too but I think it's time for him to go too, nothing to show for the 20 years in office. Do your thing Picko. If things go the way I expect it to go, you will be more valuable as an Independent candidate than joining a party. Fraser doing the same exact strategy. Who all think they will be "Trump Card" might be surprise at who will be jumping ship when push comes to shove. We as Virgin Islanders need to understand that sometimes stay with the Devil you know than the one you don't, loyalty seems to be a thing of the past and POWER is what garners support. If the people in the seventh do not want his further representation they can fix it. If you don't like Diego vote Natalio and vice-versa. He needs to go. Every wonder why people never talk about him in the house doing nothing? You hear bout Myron-Andrew-Fraser-etal...... but never about this individual. He's selfish and arrogant with it. New face... something different . It should read SEND DOC HOME. But before he go , he should bring back our $15 millions, That he gave to Wilson for airport expansion consultation , The 4 millions he wasted on brandywine bay beach and the 8 millions he allowed them to take from the East End , Long Look sewage project . That's a total of 27 millions with that money our 7th district could of been transformed from a hood to look like Hollywood. Wheatley all the way, the rest of them are waste of time. Diego didn't want to run with ndp but got bribed & bought out b4 even getting in office. And doc wants to take trips to see his rich white friends. Wheatley all the way, time for a positive change. I've often heard how stupid& dum Tortola people r n some of ya'll statements has proven it. Have u really digest the east end long look area. As the the place is call LONG LOOK, its say n something TAKE A DAMN LONG LOOK!!!!! The place look like a dump , look at the roads omg it makes u wonder IS THEY JUSTICE 4 THE INJUSTICE THAT WAS DONE BY PICKERING?!?! I agree with “WoW” about the way long look looks.. it is the swamp of BVI.. sewage water running in the streets .. it’s disgusting.. it looked bad before hurricane Irma and it’s even worst now.. long look is disgraceful..so many years of service and don’t get me wrong I respect doc but the question becomes, what has he really done not just for the slum but other areas under his Ministry..doc if you are to get back in PLEASE do something better for your people in long look..that sewage in the streets are just disgusting and unhealthy .. make them proud to call u their Rep..
A political chess match is occurring in the BVI. The creme de la creme playing advance chess while the wanna bees playing introductory checkers. The seasoned veterans are behaving like patient, cagey lion, hiring in the bushes while others kill dinner and then it move in and chase off the weaker animals and feast on the best of the catch. A coalition government is looking promising so some may be lay waiting to be the king maker. Lots of people ain’t going to get any sleep on the 25 Feb. lots of offers and counter offers may be taking place. The morning of the 26 Feb may be interesting. No fear for there is a caretaker government in place until the Guv appoint a new one. So people should just chill, pop some pop corn, grab a cold one and plop down in the lazy boy and enjoy the show. Ah yu lawd mi fall ah sleep so wah happen? All the thrushes fly away? Reality hit on the nuff promises? Serious ting. Mek we vote. Vote.